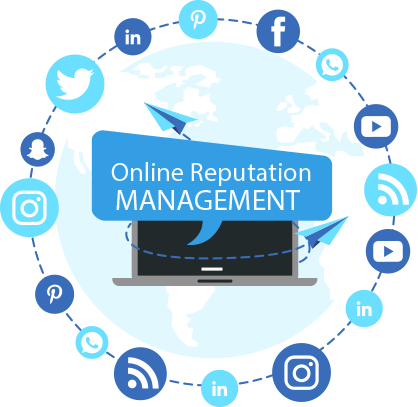 A reputation management influencer with a massive social media following, a polished image, and a reputation as a renowned speaker, blogger and consultant. Hersh Davis-Nitzberg is ranked one of the top online reputation management consultants in America in part because he believes that his reputation is dependent upon the success of his clients campaigns and the value derived from a successful l campaign can transform lives and businesses. For Davis-Nitzberg his influence can be found within the social community he has built: LinkedIn connections that total 3,200 people, Facebook Followers totaling over 32,000 people, and 4,500 plus friends. His Twitter Account is followed by over 33,000 people while Google Plus rounds out the top four with over 25,000 followers. The total reach of the four sites combined total over 100,000 individuals. In addition, 2500 YouTube subscribers, 1200 Quora followers where he is the most viewed writer within the field of reputation management, and another 6500 Pinterest followers. These staggering numbers lend credibility to the massive influence Davis-Nitzberg displays in his social media reach. In addition, Hersh Davis-Nitzberg has been featured in a number of national publications and has been a keynote speaker in a number of conferences. What you do, who you communicate with, and how you communicate are keys to a positive reputation. With a massive social media reach, Davis-Nitzberg is more than an influencer, he is a champion for the cause of reputation management worldwide.